Product prices and availability are accurate as of 2019-04-20 11:51:48 EDT and are subject to change. Any price and availability information displayed on http://www.amazon.com/ at the time of purchase will apply to the purchase of this product. Davis consults a vast archive of labor history to illuminate new aspects of Marx’s theoretical texts and political journalism. He offers a “lost Marx,” whose analyses of historical agency, nationalism, and the “middle landscape” of class struggle are crucial to the renewal of revolutionary thought in our darkening age. Davis presents a critique of the current fetishism of the “anthropocene,” which suppresses the links between the global employment crisis and capitalism’s failure to ensure human survival in a more extreme climate. 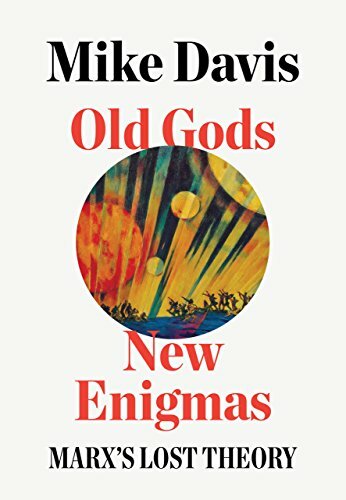 In a finale, Old Gods, New Enigmas looks backward to the great forgotten debates on alternative socialist urbanism (1880–1934) to find the conceptual keys to a universal high quality of life in a sustainable environment.